Sundrips is a duet of Nick Maturo and Ryan Connelly, whose album “Just A Glimpse”, released on Debacle Records, is the subject of the stated below text. Actually the contained tracks are represented by guitar and synthesized sounds, the performance style of which is sure to provoke a listener’s interest and love. There are some trembling, or even wobbling structures, as in the first track “When”, arpeggios, flying to some far away distance, and then coming back, as in the next “Perseids”, as if revealing the glistening nature of the star shower. “Greyscale” is a sublime stratified and warmly phasing piece with straight direction, whereas “Awash” is a bit disbalanced at the beginning, though in the end still coming to harmony. “Suspended” is vigorous and noisy, while “Access Point” is tender and friendly. The last track “Just A Glimpse”, which entitles the entire album, with its solemn and imposing drone, occurs to be the adequate completion, which as if coordinates all the impressions from the previous pieces. 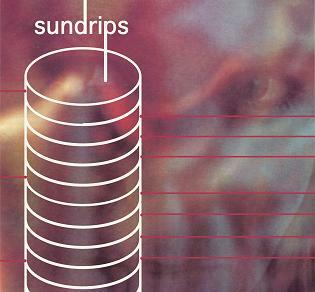 So, enjoy “Just A Glimpse” by Sundrips. This entry was posted in Uncategorized and tagged ambient, Debacle Records, drone, Sundrips. Bookmark the permalink.